The American-Brazilian research project http://testyourvocab.com/ claims that English has the more words than any language on earth. Even adult native speakers learn about a word a day until middle age, whereas non-native speakers living in an English-speaking country may learn 2.5 words a day. Even non-natives who lived somewhere where English was spoken have the vocabulary of a native 8-year old, or 10,000 words. I learnt 2 new words doing the test: opsimath (a person who learns late in life) and funambulist (a tightrope-walker). What about other languages? I constantly compare my language level with that of my Finnish niece, who has been learning the language about as long as I have. This survey makes clear what I already knew – if I want to continue to keep up, I have to read. A lot. Especially fiction. How else would I have learnt words like lohikäärme (dragon) and loitsia (to conjure, enchant)? And if you know any school-age children or teenagers, get them to take the test. The researchers have 2 million results already, but they want to know even more about how young people learn language. 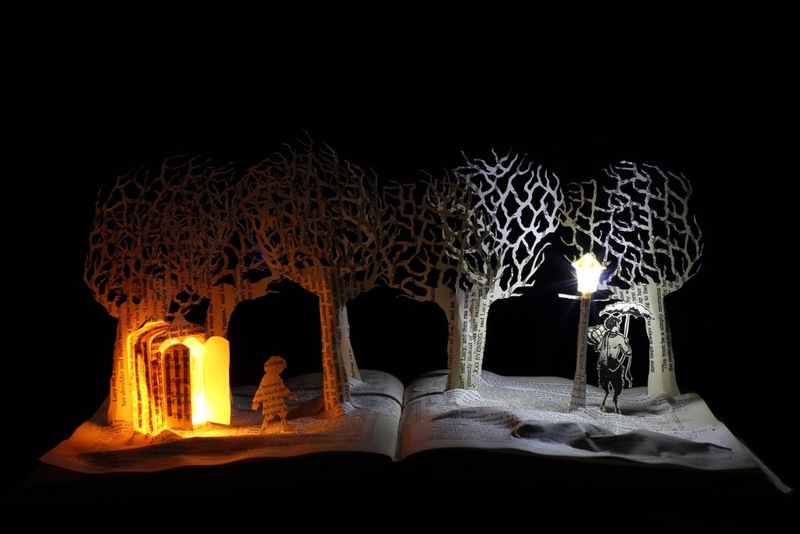 The above image is by the fabulous Cambridge book sculptor Justin Rowe: here’s his blog.